Sometimes I find the hardest part of writing a blog post is coming up with a catchy title. I want to attract readers' attention by snagging their curiosity. Did it work with you? What did you anticipate finding in this post? A food fight? It's a super fun card. I CASE'd it from my upline, Desiree Spenst. I changed it up (as usual) to fit the products I had on hand. In this case, everything revolved around what colour reinkers I had and a coordinating ribbon. Here's the card. 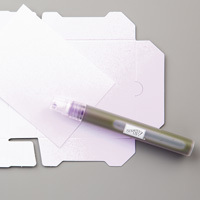 See all those splotches on the whisper white panel? That's the splatter. 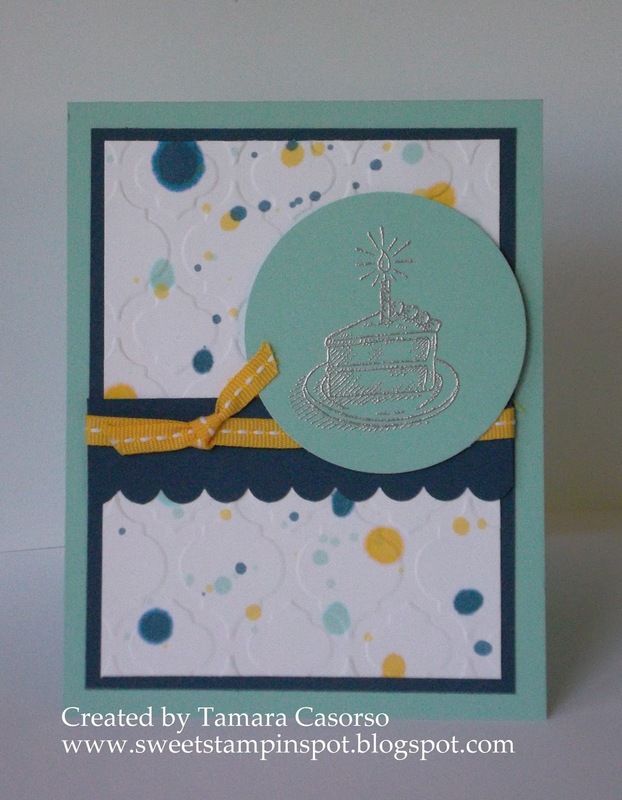 The colours I've used for this card are Pool Party, Midnight Muse, Daffodil Delight, and Whisper White. It's difficult to see, but the Whisper White panel is embossed with the Modern Mosaic TIEF and then using Stampin' Spritzer's filled with rubbing alcohol and about 20 drops of reinker, I opened it up and just let the drops fall. This is not spritzing with the spritzer. That would give a completely different look. I had three spritzers (one for each colour). The great thing about using alcohol is that it dries so quickly. 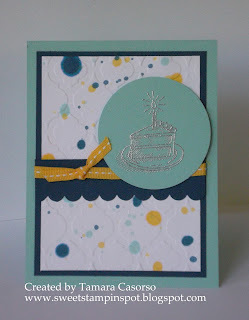 After I had my desired level of splatter acheived, I moved on to embossing that yummy slice of cake. I used the Scallop border punch on the thin midnight muse panel and wrapped a piece of the stitched grosgrain ribbon in Daffodil Delight with a faux bow. This is a great card for any age, any gender. It'd be good to keep some of this in stock. 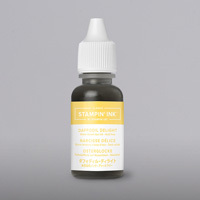 Have a look at the products below to see what you need. I even included the item number so if you're placing an order, it's easy peasy. (Just remember to go to my Online Store to have your order shipped right to you! Or, if you're in the Kelowna area, email me your order to save a bit on shipping -for orders under $100). 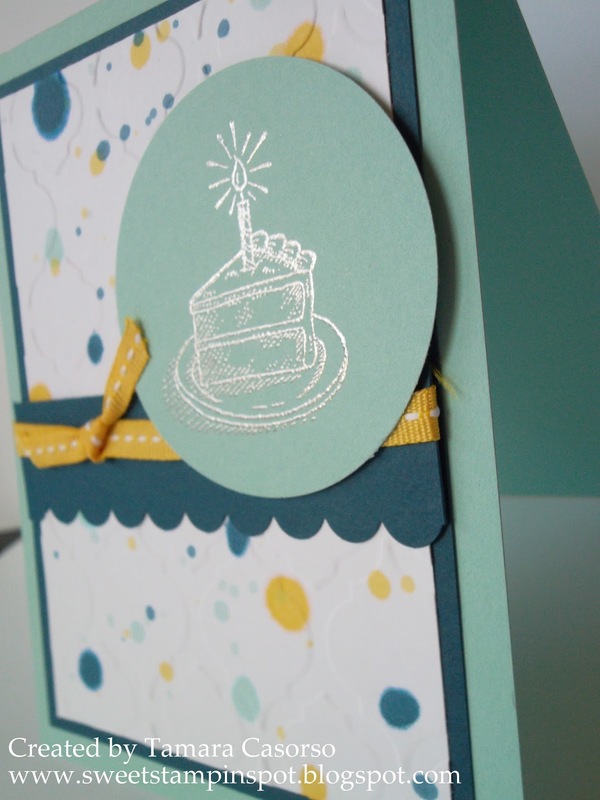 Go have some cake while you make a card! Cake image.....stamp set? i am not sure make a wish is correct....besides that, may I borrow the slice of cake stamp for a day or two? please. And your blogs are fun to read, great style, good converstaion, great wit, good cards.